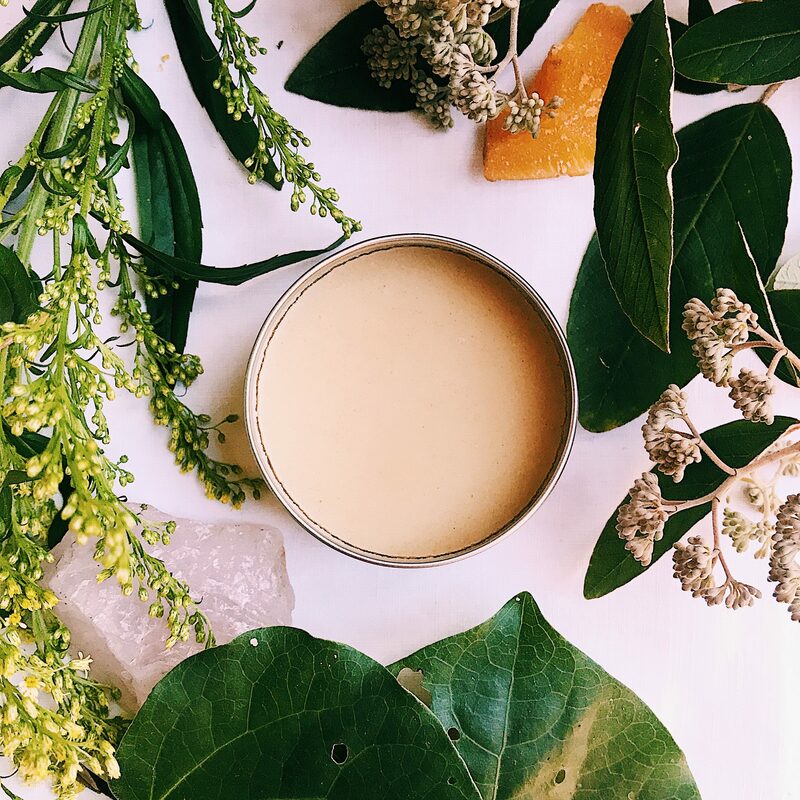 Used for Cold sores / Shingles / Neuralgia / genital herpes / Warts / Chicken pox This lovely balm truly is a blessing for those in need. 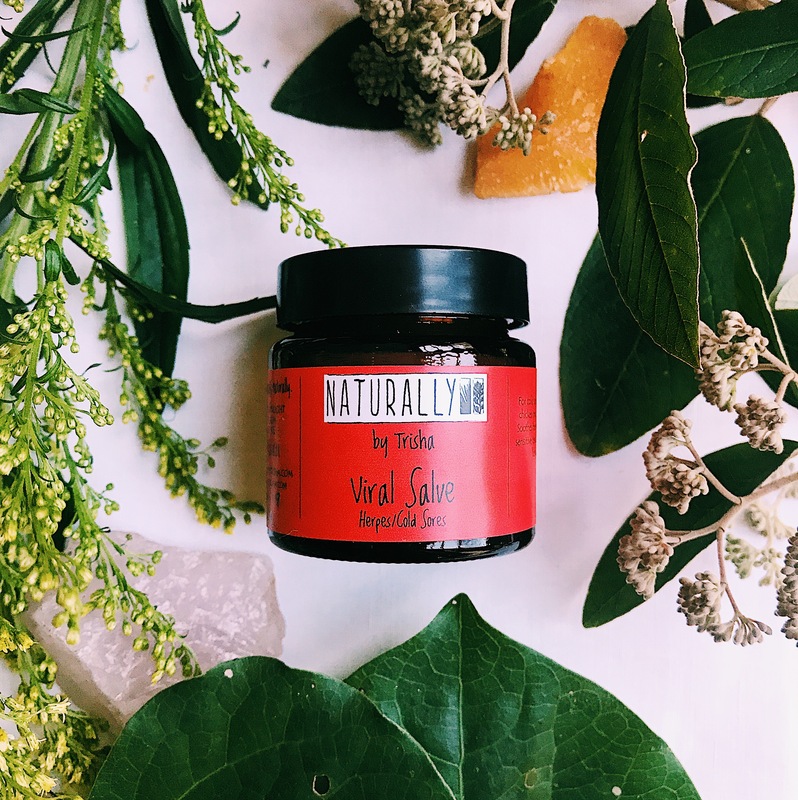 Our Viral balm works beautifully on herpetic complaints such as cold sores, shingles, chicken pox and genital herpes. 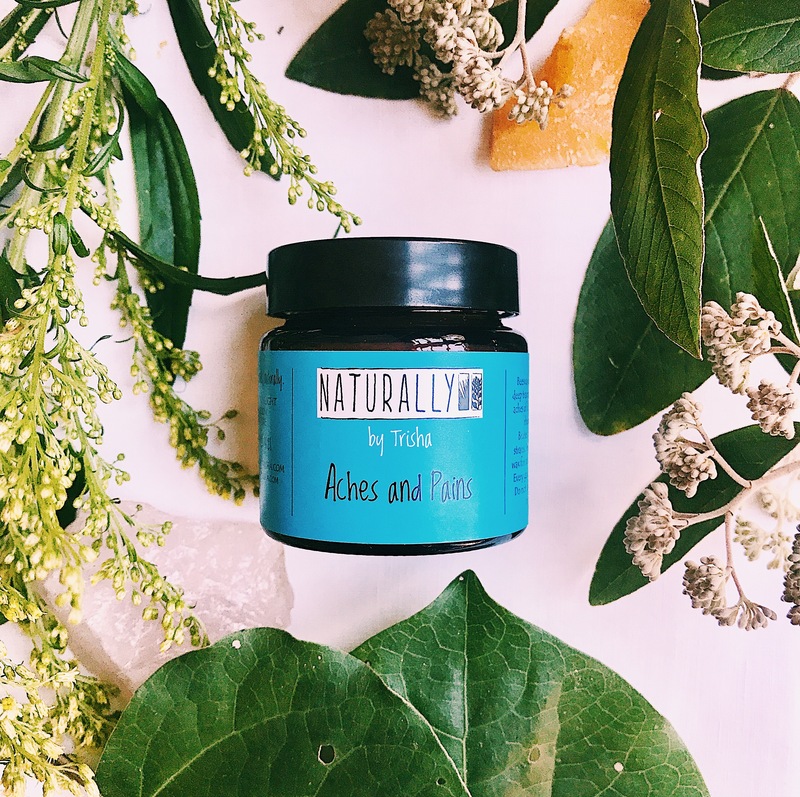 In a blend of beeswax and olive oil, we have added a host of plant extracts from our gardens and our stand of regenerating bush at Naturally by Trisha in Puhoi, just north of Auckland. Native Kawakawa and the St John’s Wort is used for the neuralgic pain accompanying these afflictions. 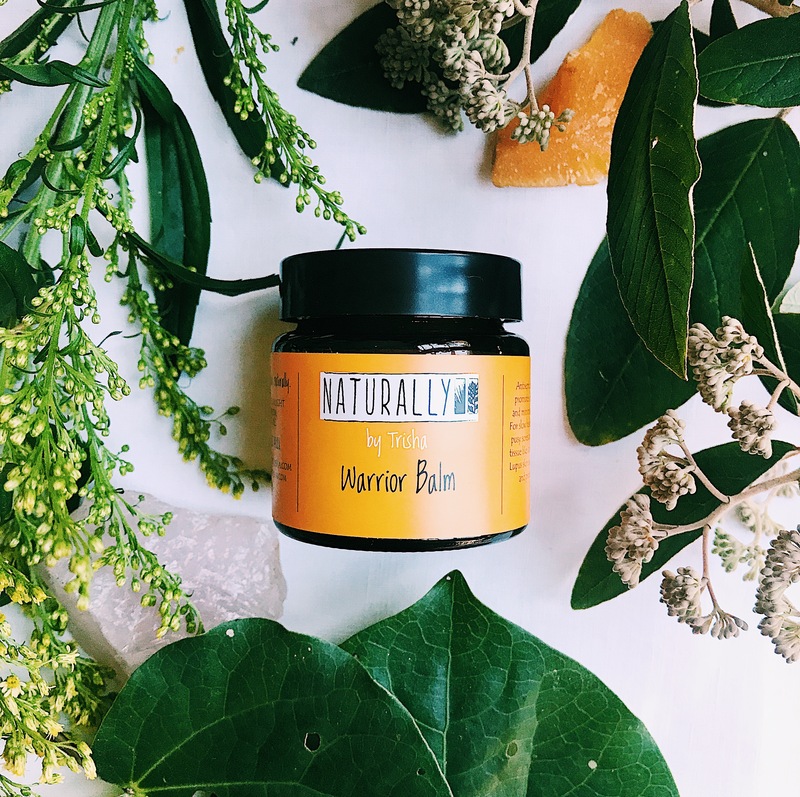 Our native Harakeke root, and Koromiko work on inflammation and crusty sores, while the Calendula makes for healthy cellular growth and granulation essential for repair of any herpetic skin lesions. When children or adults get chicken pox, the itch of the crusty sores can be irresistable. This leads to severe scratching and often leaves deep scars. By seriously soothing the itch this balm will minimise scarring as the urge to scratch is reduced. Calendula also supports by stimulating the development of healthy scar tissue. Many of the plant ingredients have anti-viral, anti-bacterial and anti-fungal properties. This lovely balm truly is a blessing for those in need. “I just wanted to let you know how amazed I was with your products. A family member suggested I try the viral salve after she saw my cold sore. She said she used it years ago and she had never got another cold sore again. I couldn’t get your salve fast enough!!! I have suffered from cold sores for YEARS. Nothing has ever worked for me, nothing ever!. I have tried everything I could think of from every cream and lysine tablet etc, and going to a few different doctors and being prescribed courses of tablets to take for a month etc etc…….the list goes on. I would have an outbreak once a month on average, and if I get a cold I can guarantee it would pop out as soon as I would wipe my nose! My cold sores would get so big and nearly always end up inside my nose and they are so painful. On the first day of the outbreak one side of my face depending on what side the cold sore was on, would go all cold and tingly sting to the touch, my eye would hurt and I just feel generally yuck. Then once the cold sore is out it would take a couple of weeks to heal up, after all the cracking and bleeding. Anyway I brought some of your viral salve and it has been a saviour! The last cold sore (which by the way was over 4 months ago) was soooo tiny and it healed up very fast. I really thought nothing would ever work on me. I have been using the viral salve for my coldsores which has been the most amazing product I have ever seen or used. It works like no other product I have ever tried. Thanks R.M.